ADHI SHREE SEVA SAMITI RAIPUR is located in raipur Chhattisgarh . ADHI SHREE SEVA SAMITI RAIPUR is registered as a Society at RAIPUR of state Chhattisgarh with Ngo unique registration ID 'CG/2014/0074745' . 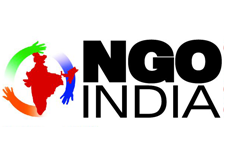 The NGO registration is done by Registrar of Societies with registration number 1575 on the date of 04-12-2006, Its parent ORganaisation is PaulFoundation. The Chairman of ADHI SHREE SEVA SAMITI RAIPUR is SUBHASH JAIN and Chief functionary officer is SKjain. Promoters are GAURAV BANGANI, PRAVIN BAFNA, SURESH AGRAWAL,SANJAY PINCHA.